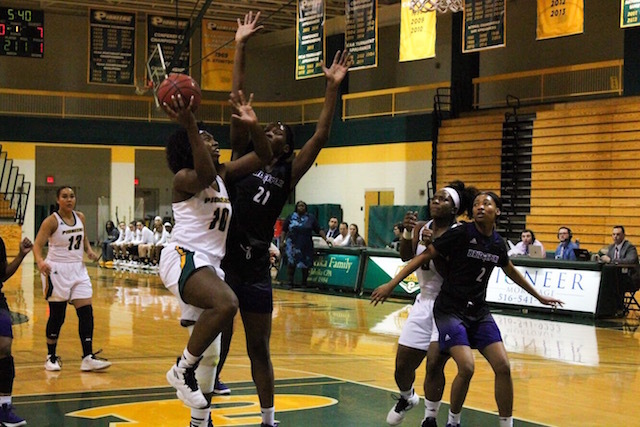 On Wednesday, Jan. 23, the LIU Post women’s basketball team managed to turn over their losing streak by beating University of Bridgeport at home with a score of 80-74. Loud music streamed from the gym 40 minutes before the game. With five consecutive losses this season, the team hankered for a victory. 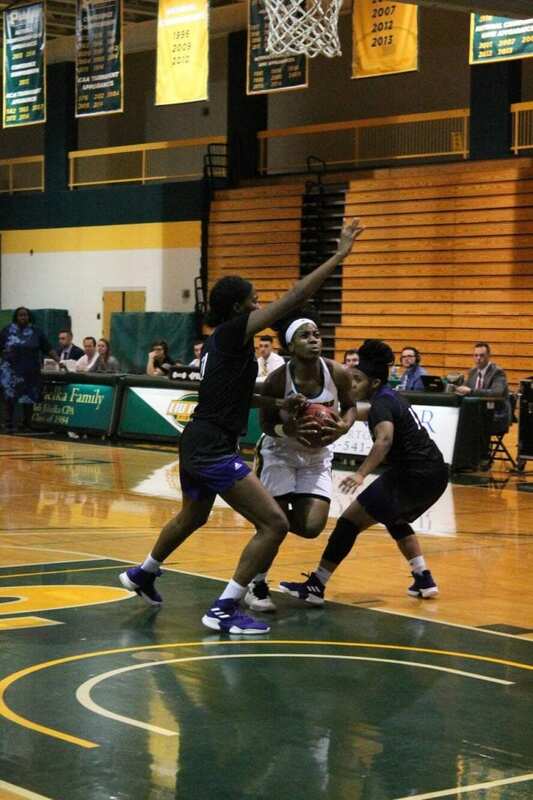 “We were really desperate to win,” LIU Post junior guard Asia Turner said. Despite the team’s eagerness, the Pioneers had a rough start. Midway through the first quarter, Bridgeport’s Purple Knights had a 10-0 lead. Bridgeport continued to pressure the Pioneers, and in the middle of the second quarter, they had a lead with as many as 14 points. 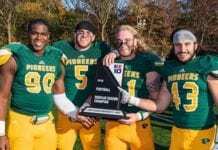 Just when it looked like the Pioneers’ losing streak would continue, they turned the game in their favor. “We became more focused on stopping them from scoring and actually putting the ball in the basket,” junior forward Mikaiya Moore said. With stronger defense and offense, the Pioneers took their first lead of the evening with 42 seconds left in the second quarter (33-31). “Basketball isn’t a five-minute game. You got to keep on playing and that’s what we did and we managed to come back and take the lead,” Turner said. After a close battle in the third quarter, the Pioneers took command and walked in to the fourth quarter with a 58-49 lead. They did not slow their pace and, with seven minutes remaining in the game, they expanded their lead to 14 points (67-53). The Purple Knights made an effort to come back in the game and reduced the Pioneers’ lead to five points with two minutes left, but they never managed to catch up. On Saturday, Jan. 26, the Pioneers travel to Dobbs Ferry to take on Mercy College. The team’s next home game will take place on Saturday, Feb. 2 against Queens College. This article was originally published in the Pioneer, the award-winning student newspaper of LIU Post, www.liupostpioneer.com, and is republished here by Blank Slate Media with the permission of the Pioneer.